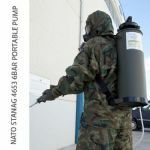 The HAZMAT Control Decontamination Basin Bundle is ideal for quick decontamination of objects or Personnel wearing PPE and RPE where a full decontamination shower cabin is not suitable, needed or practical. 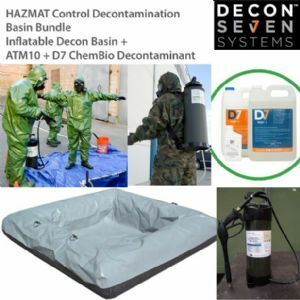 This decon set is ideal for Police, Fire Service, Industrial Users, Tank Cleaning, Commercial Divers, Military, Scientific Research, Farming & Poultry and can be used for quick onsite decontamination of chemical & biological threats & hazards including warfare agents. Please Note: The lead-time for this package is currently 4 weeks, larger basin sizes are available in 2m x 2m and 2.5m x 2.5m, please contact us for pricing and lead-times.